While appraising the estate of a New Hampshire family descended from a North Dakota Indian agent, Faye Travers is startled to discover a rare moose skin and cedar drum fashioned long ago by an Ojibwe artisan. And so begins an illuminating journey both backward and forward in time, following the strange passage of a powerful yet delicate instrument, and revealing the extraordinary lives it has touched and defined. 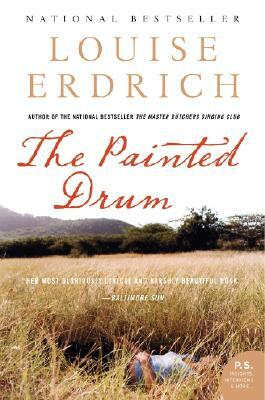 Compelling and unforgettable, Louise Erdrich's Painted Drum explores the often fraught relationship between mothers and daughters, the strength of family, and the intricate rhythms of grief with all the grace, wit, and startling beauty that characterizes this acclaimed author's finest work.